Home Health & Beauty Is Alzheimer’s disease preventable? Atlanta (CNN) There is no test doctors can use to conclusively determine whether someone will get Alzheimer’s disease. 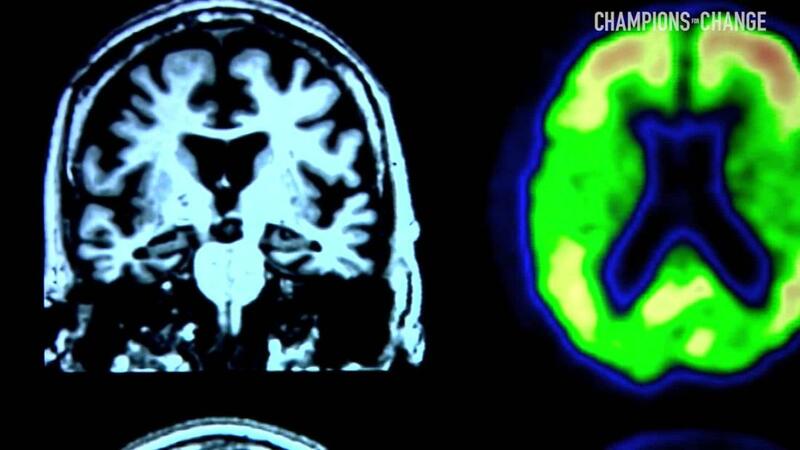 “If you are in your 20s or 30s and want to know if you will get the disease, we don’t have information to determine that now,” said Heather Snyder, director of medical and scientific operations at the Alzheimer’s Association. Programming note: Join CNN anchors and correspondents for “Champions for Change,” as they get involved in important causes, ask questions and share what they’ve discovered, Saturday, June 23 at 8 p.m. ET on CNN. This story was first published in 2015. One thing everyone agrees on: There are a lot of unknowns when it comes to Alzheimer’s disease. “We don’t know the exact cause of Alzheimer’s, we have hints and some pieces of information,” Snyder said. One thing that is known, if you have a first-degree relative, such as a parent or sibling, with the disease, you are at an increased risk. “But that is by no means definitive that you will get the disease,” she said. For more about inspiring people and causes, including how CNN anchors and correspondents are getting involved, go to CNN.com/Champions. That could be on the verge of changing. Doctors at three U.S. medical centers are gathering as much information as they can about patients and using it to give them an early intervention plan to slow or prevent the disease, even though it’s not known whether the patient will actually get it. Dr. Richard Isaacson’s interest in Alzheimer’s disease is personal and professional. He hears the same from family members in his practice, which was part of his motivation to start the Alzheimer’s Prevention Clinic at New York-Presbyterian / Weill Cornell Medical Center in New York. The clinic offers care to patients who want to reduce their risk for Alzheimer’s disease. “My perfect patient is someone like me,” he said, meaning a person with a family history of Alzheimer’s but no symptoms, although he notes he’s not a patient just yet. The treatment is based on the premise that Alzheimer’s starts 20 to 30 years before there are signs or symptoms. Research shows that one in three cases of Alzheimer’s is preventable. Isaacson’s youngest patient is 27, with parents who have Alzheimer’s, and his oldest is 91, with siblings who have the disease. Most of the patients are children of someone with the disease. But everyone is at risk and age is the biggest factor. That could explain the eight-month waiting list to get an appointment. “I’m not a magician. I’m doing the best I can based on science now,” Isaacson said. He said he spends hours, not minutes, with each patient, assessing cognitive performance (on paper and on a computer). Lab work is done to check cholesterol, inflammation and metabolic markers, as well as others. A physical assessment is also done for body mass index and waist-to-hip ratio. All are factors that could increase a patient’s risk. Patients leave with recommendations for stress reduction, sleep management, exercise and sometimes medication, both prescription and over the counter (such as vitamins). Education is also a big part of the process, including an online program called Alzheimer’s Universe, which offers short courses on Alzheimer’s prevention and treatment. Patients return for follow-up every six months. “We basically suggest risk factor modification and follow them over time to see if their risk factors improve. The Holy Grail is to look if their cognitive function stabilizes or declines,” Isaacson said. In Los Angeles, Dr. Dean Sherzai is also personally invested in the disease. His aunt died earlier this month from Alzheimer’s and he has lost three grandparents to the disease. This propelled him to the helm of the Alzheimer’s Prevention Program at Cedars Sinai. Patients are assessed by genetic factors, blood tests and imaging (using a retinal scanner to look for amyloid protein accumulation in the eye). The focus is on lifestyle (i.e. music exposure, word games), nutrition, physical activity and socialization. These measures have shown that they can delay the progression of the disease. Sherzai is also doing research treating patients early with a diabetes drug to target insulin resistance in the brain, and an inflammatory drug used to treat multiple sclerosis. Early intervention is key. “I think we fail good studies because we are doing it too late,” he said. At the University of Alabama at Birmingham Alzheimer’s Risk Assessment and Intervention Program, if you are between 45 and 65 you can get an assessment and walk away with a numerical estimate of your chances for developing dementia within the next 20 years. Patients over age 65 can get that estimate narrowed down to a six-year window. Neurologist Dr. David Geldmacher, the program’s director, said he is not misleading patients. He gives estimates based on published studies. “I am careful to say I can’t make a specific calculation for any one individual but I can say people with this profile have this risk, you may vary but this is where you would fit in if you were part of these studies,” he said he tells patients. That’s why he doesn’t see younger patients. “Fourty-five is just too far away to get quantifiable risk measurements,” he said. The assessment starts with an initial screening over the phone. Then he takes a detailed clinical history focusing on risk factors that could be indicators of dementia, including education, history of anesthesia and brain injury. Those who have had none or very little memory change over the past five years are invited to join. Those with more memory change are referred elsewhere. He conducts an assessment of thinking and function. Patients then undergo an MRI to measure the degree of brain atrophy and ischemic change, both of which are predictors for memory loss within the next five to six years. He gives patients a plan with targets that include weight, blood pressure, cholesterol and exercise: the modifiable behaviors that researchers believe can lower risk. 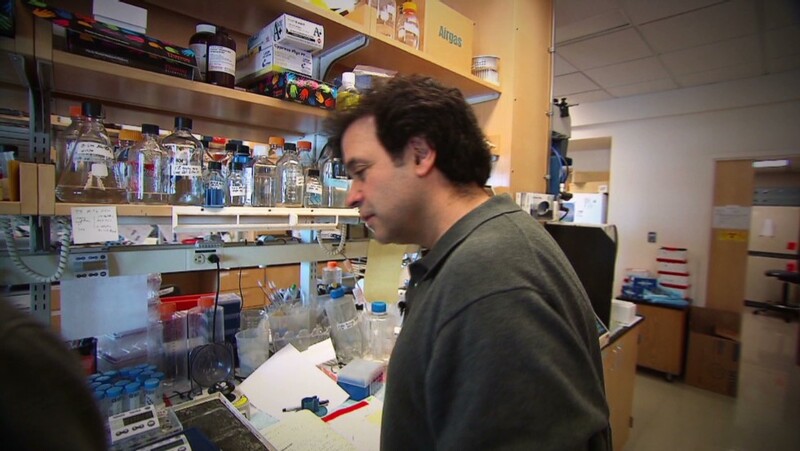 “We can’t change our genes and we can’t change our birthday but we can modify some factors, including blood pressure, cholesterol, body weight (obesity), alcohol intake, and those are primary factors that people can change themselves,” Geldmacher said. That difference can be significant. Geldmacher has a hypothetical model patient made up of two women in their early 50s that he uses for an example. Based on her profile, he explained, she has a 4% risk of developing dementia in the next 20 years, but if she modifies just one behavior, that risk drops to 2% and if she improves three risk factors she would have just a 1% chance, he said, noting that she can theoretically drop her dementia risk by 75% just by changing preventable behaviors. Patients walk away with a plan and no follow-up. If symptoms begin, they can return. The program has been open for a year. So far, no patient has returned, but Geldmacher said if they do, the plan can be modified and goals can be reset. These programs are designed around scientific evidence, offering patients a possible chance to change the course of their future by delaying the onset of dementia or Alzheimer’s disease. It’s no guarantee, which is why Isaacson pointed out that some people do everything right and still get the disease. “It’s all about winning the tug of war against your genes,” he said. That is why the Alzheimer’s Association created a list of 10 things that are good for your brain and good for your health. It’s possible these are also beneficial at slowing or preventing Alzheimer’s or related dementia. Tips include getting enough sleep, eating healthy, exercising a few times a week and not smoking. They also encourage enrollment in a clinical trial. The association website can help direct and connect people with research going on in their area. So, while there is no treatment or cure for Alzheimer’s, it’s possible an ounce of prevention could go a long way. “Taking care of yourself when you are 50 can make a big difference when you are 70, not just for heart attack and stroke but for Alzheimer’s and dementia as well,” Geldmacher said.